The Strategic Development Network (SDN) has created an Employers’ Apprenticeship Toolkit for aspirational businesses based in Humber, York, North Yorkshire and East Riding thanks to a jointly commissioned project between two Local Enterprise Partnerships. The project builds on SDN’s industry-renowned Future Apprenticeship toolkit, created in 2015, to provide a detailed roadmap for training organisations to best adapt to the apprenticeship reforms. 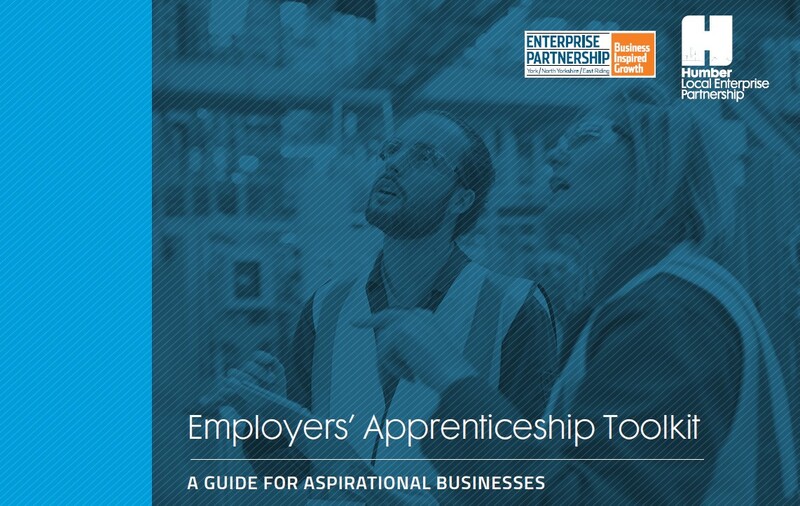 In a similar vein, this employer guide is aimed at demonstrating in detail to small and medium size businesses how to develop their people, improve staff satisfaction and grow – by implementing a well-planned apprenticeship programme. The toolkit was commissioned by Humber LEP and York, North Yorkshire and East Riding LEP to provide businesses with insight and tools to help them understand where apprenticeship training could have a real impact on their business performance. “The businesses we spoke to were interested in apprenticeship training, but receiving mixed messages about its cost, impact and rules around 20% off-the-job training. SDN’s impartial and practical Employer Toolkit answers those questions, setting out clear guidance, actions, examples and tools. “The feedback we’ve received so far has been excellent! SMEs in particular, who do not have the human resource of larger companies to investigate apprenticeships as thoroughly, are finding the toolkit to be a real help in navigating the world of apprenticeships and the opportunities they present. How does the Employers’ Apprenticeship Toolkit work? A quick overview for employers that just want to understand the basics, get going and trust in their chosen training provider to implement a successful programme. A detailed breakdown of apprenticeships, with tools including: cost-benefit analysis, questions to ask training providers, preparing for end-point assessment and much more. This part of the guide is for employers to dip in and out of as they move through the apprenticeship journey. “Although we work across the country, it was important not to rely on our own preconceptions of what the issues to engagement were in this part of the country. The two LEPs had carried out research on the barriers local employers had to engaging in apprenticeships, which we used to drive the guidance, actions and tools in the toolkit. To enquire about SDN’s full range of apprenticeship and skills consultancy services contact us.